Do I have to pay sales tax VAT/ PPN? Yes. HighPoint is required to charge sales tax VAT/ PPN. Tax is included in retail price in every item we sell at shop.highpointoffice.com. 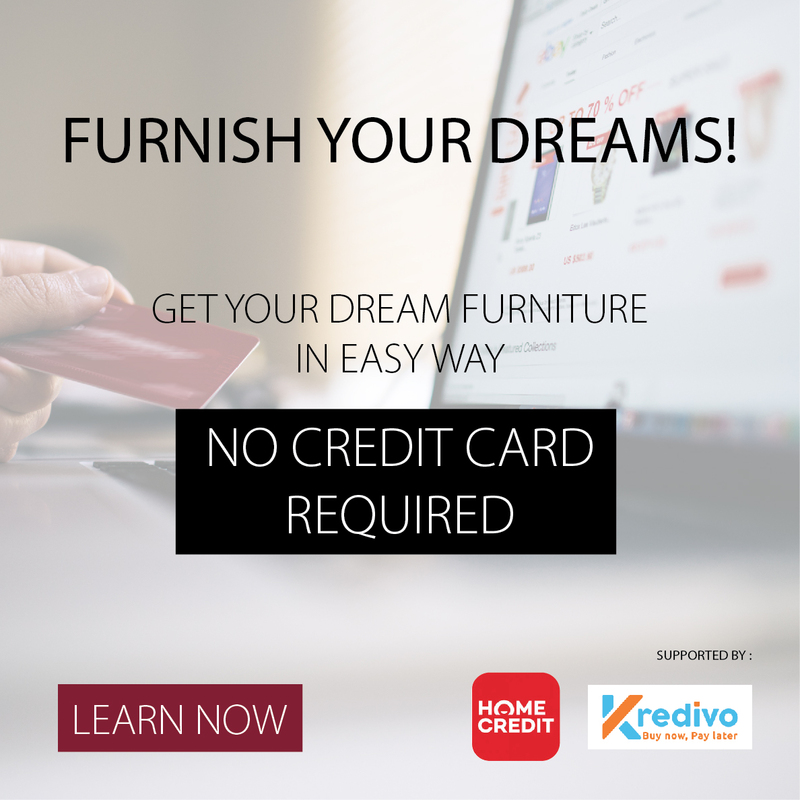 For your convenience, we provide several payments option such as Bank Transfer, Credit card (Visa and MasterCard), Installment, In store Payment, Virtual Account and installment without credit card via Home Credit. Unfortunately, fabric samples are no longer available for order through the HighPoint Online Store. Customers are welcomed to visit any HighPoint Center to get a first hand look at our fabric samples. Apakah HighPoint melakukan pengiriman keluar area JaDeTaBek? We provide several shipping option in our website such as HighPoint Express, JNE, and Raja Kirim. You can choose to delivery your order all around Indonesia with competitive price. Do HighPoint product require assembly/Installation? Some product requires assembly/installation; For JaDeTaBek area our price includes shipping and installation. But if you need to delivery outside JaDeTaBek, our shipping fee does not include installation. Please contact our customer service for more assistance. Our shipping rates varies according to the shipping agent you choose. HighPoint calculates shipping cost according to the Volume (M3) or Weight (Kg) of your order. What is HighPoint Express shipping? HighPoint Express is shipping service by HighPoint’s distribution and logistic fleet. When is it best to use shipping by HighPoint Express? We suggest Customers to use HighPoint Express, especially if delivery address is in JaDeTaBek area and total amount of order is more than or equal to IDR1.000.000,-. Will all of my Order ship together? Yes, You can! We will send to you your order status via email. We will also send to you the tracking number from assigned shipper, so that you can track it through the official website from respective shipping agent. Additionally, you may log into our HighPoint Store account and check the current status of any order. As always, feel free to contact us at via email or telephone if you have any question or concern about an order. Because each product is built to order, there is a limited window for changes or cancellation. You have 24 hours after you place your order to cancel it. Contact our customer service via email or telephone to cancel the order. Please contact us via email or telephone. We’ll be happy to work out the most suitable purchase process to suit your requirement. I’m having a problem with my HighPoint Furniture, what should I do? If you purchased the item from HighPoint online store, please Contact Us. If you purchased HighPoint product from another source, contact HighPoint Customer Care via email or telephone. You are not required to create an account to shop in HighPoint Online Store . You are able to order via ‘Guest Checkout’. However, having an account provides easier checkout, the ability to create and send a Wishlist, order tracking, Point Rewards and others shopping experience. Yes. Your username is the email address you used to register. To recover your password, enter your email address into our Forgot Password page and click the Send button. Our system will lead you to a few process to recover your account. How do I care for my furniture once I’ve received it?